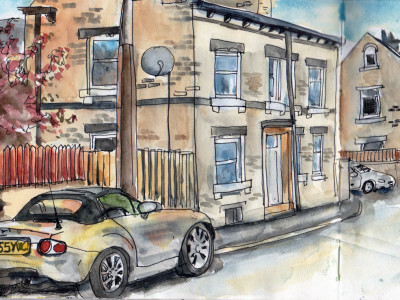 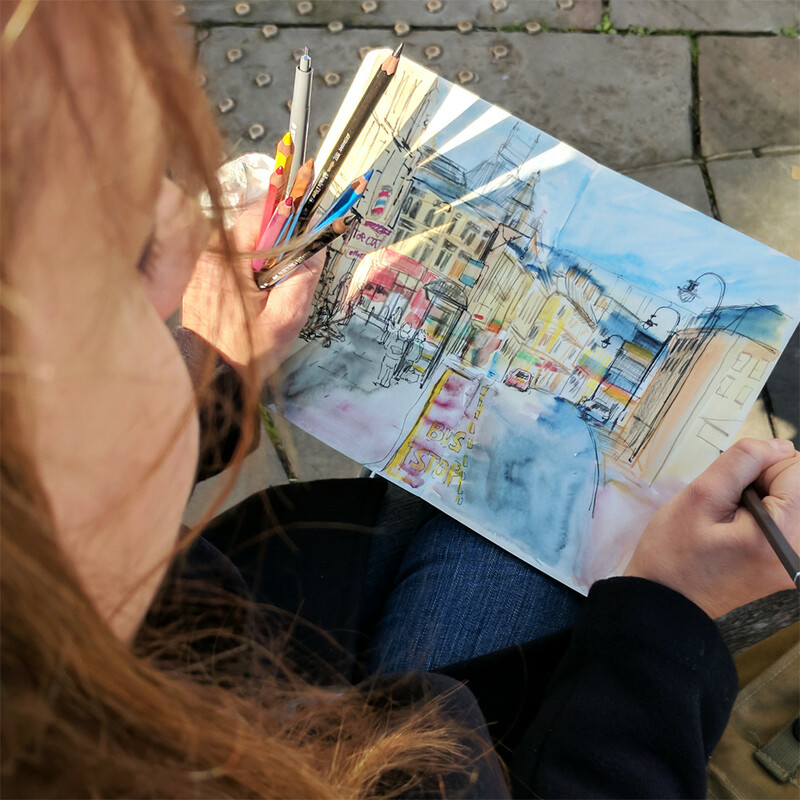 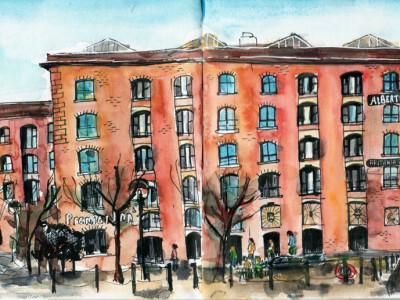 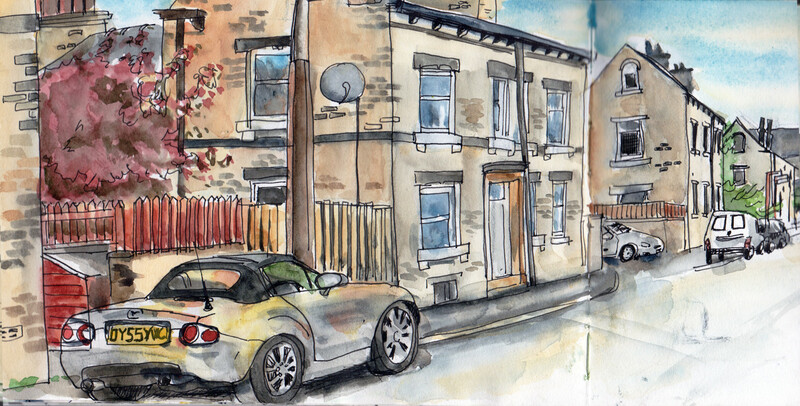 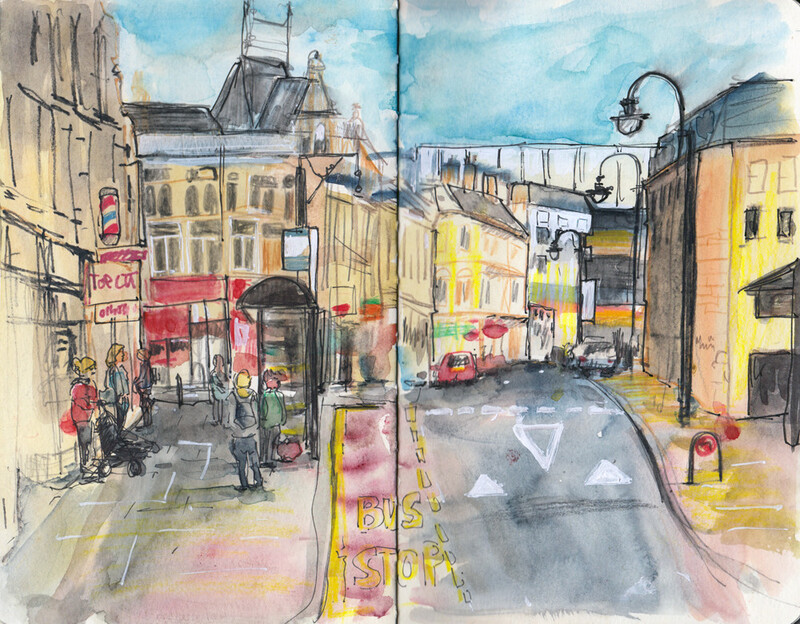 I love sitting on a bench or at a street corner and take my sketchbook out for a bit of urban sketching. 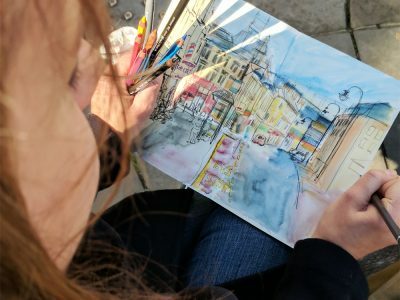 Here are a few of my drawings! 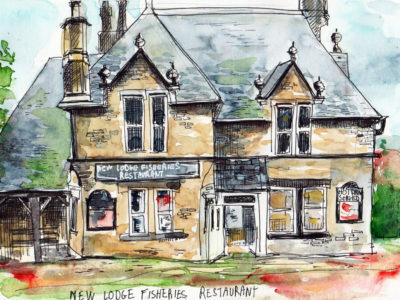 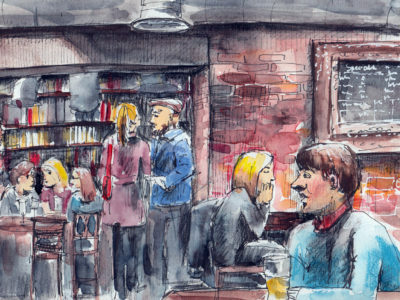 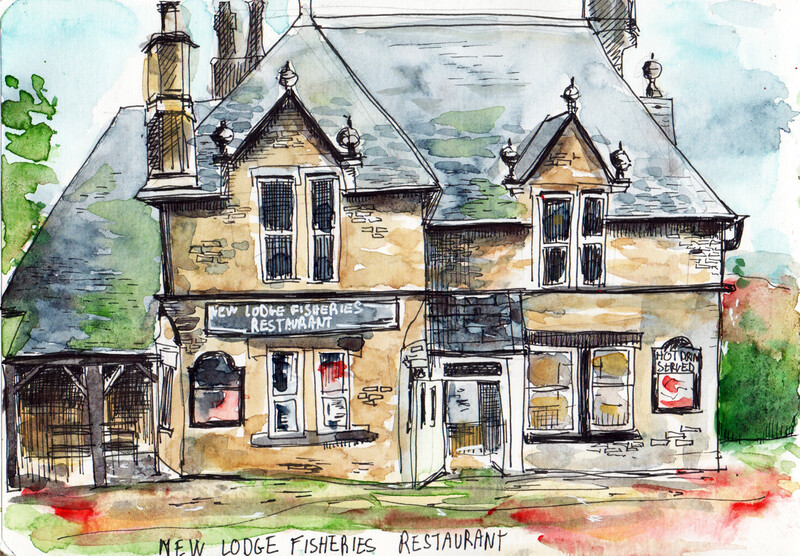 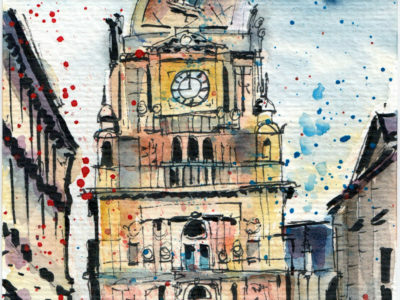 For more examples of my work, check my portrait illustrations, landscape sketches or illustrated recipes. 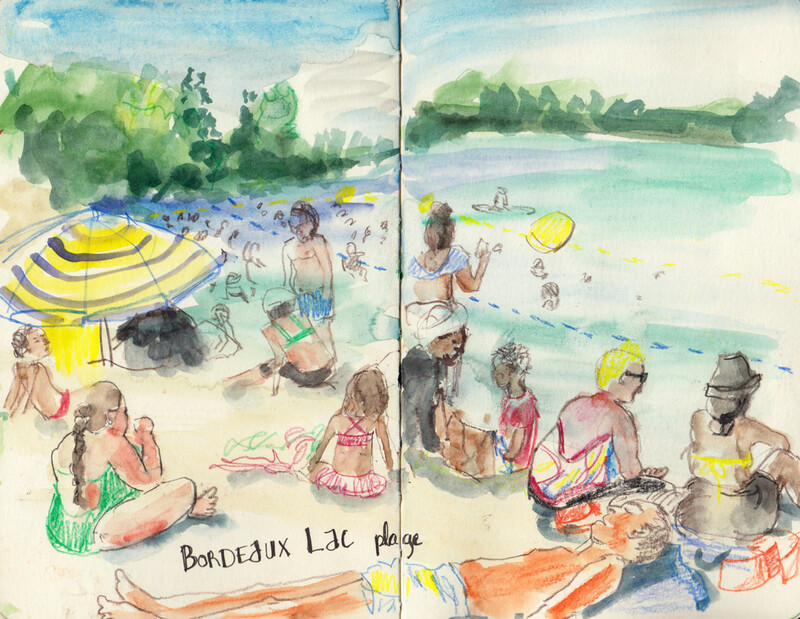 A busy lakeside beach – using a watercolour wash and adding people and details in pencil on top allowed me to draw a complicated scene quickly. 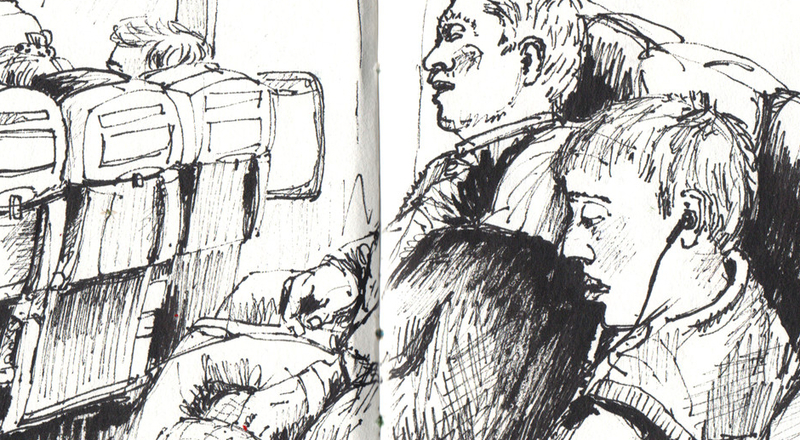 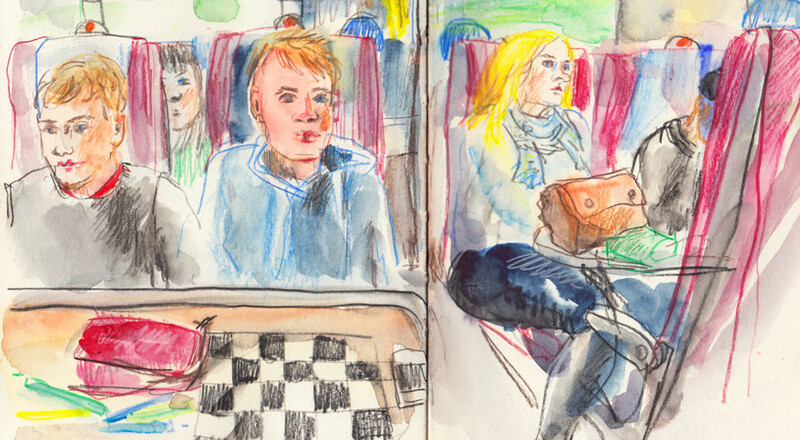 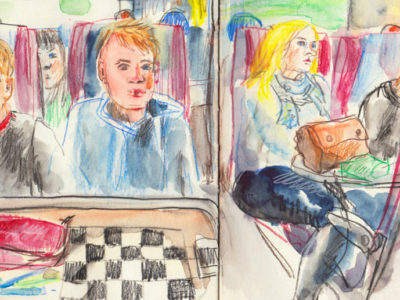 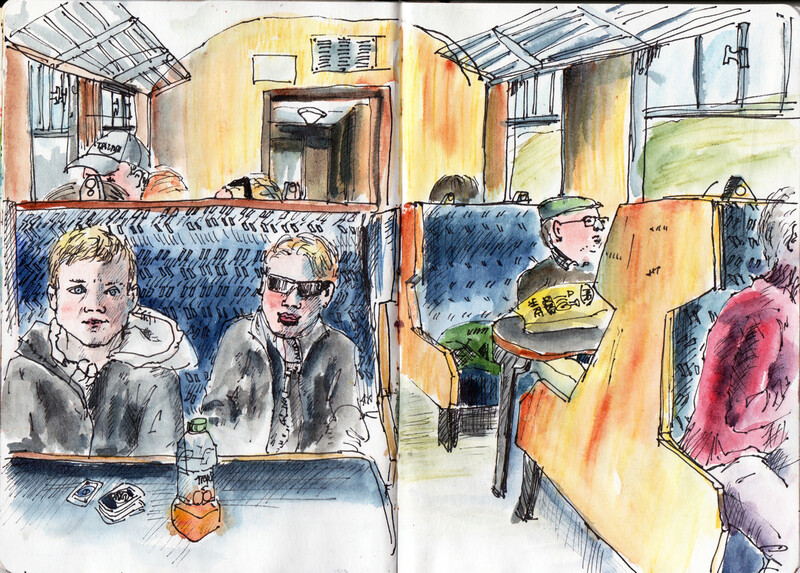 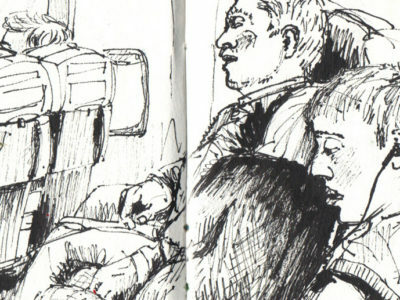 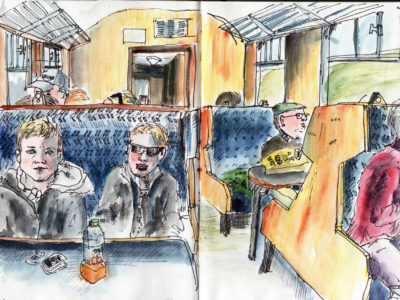 Sketching on a steam train journey. 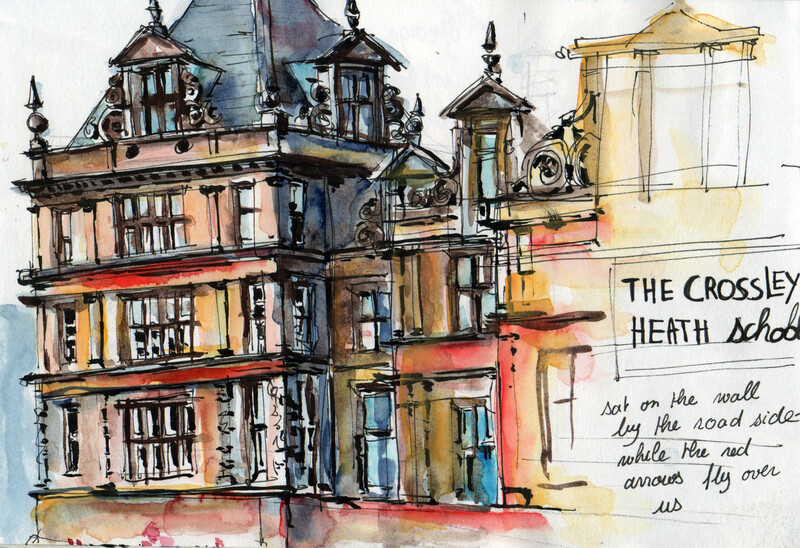 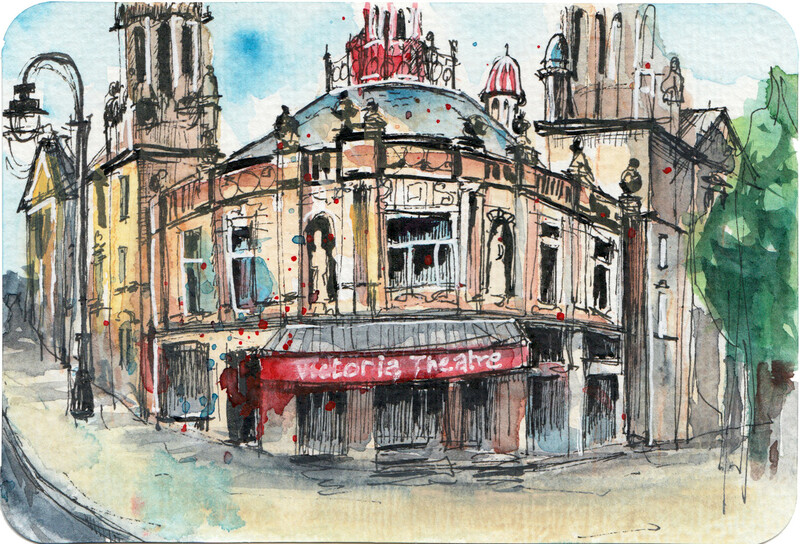 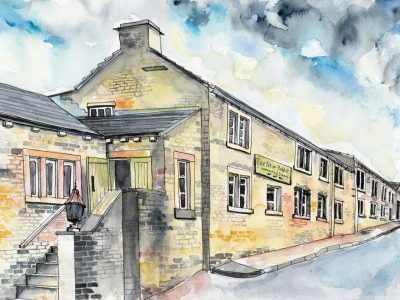 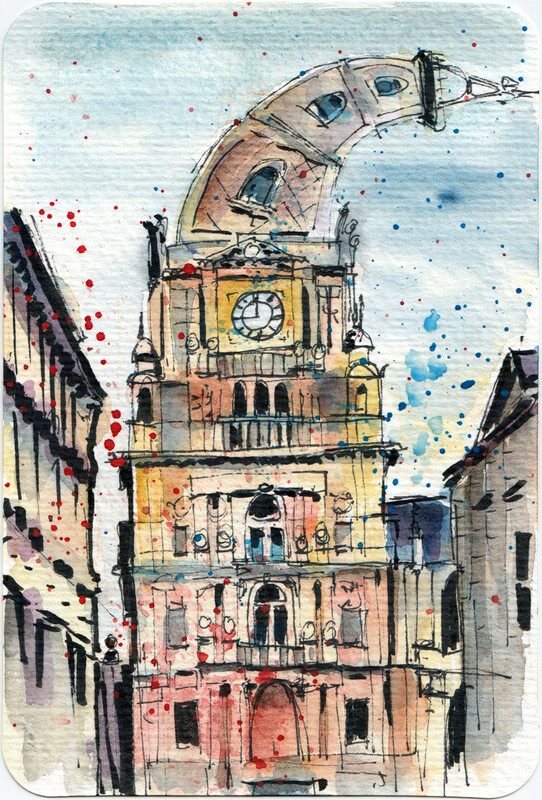 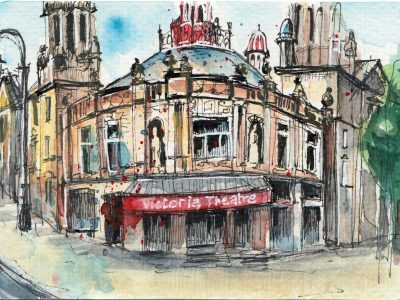 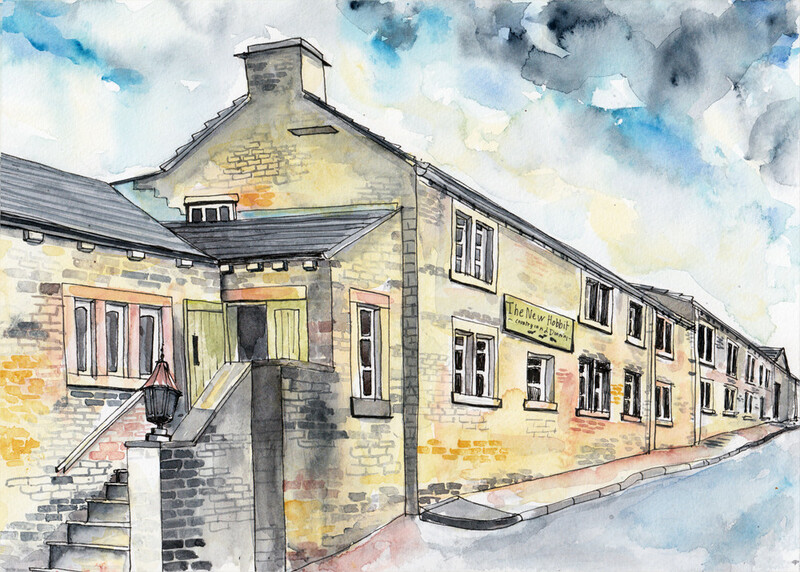 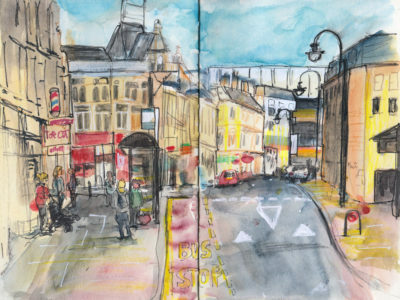 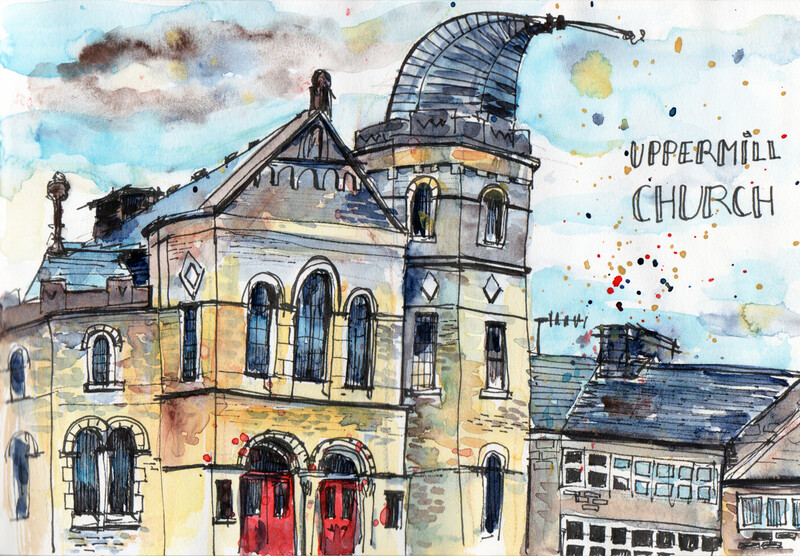 A small sketch of the Victoria Theatre (Halifax) in pen and watercolour. 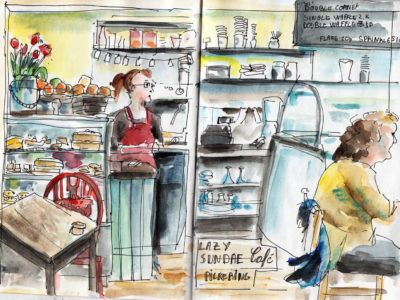 Drawing in Village Coffee shop. 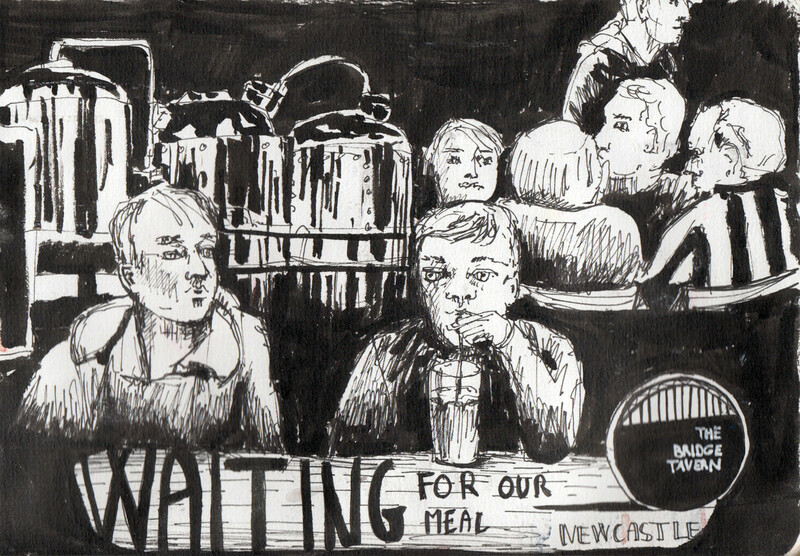 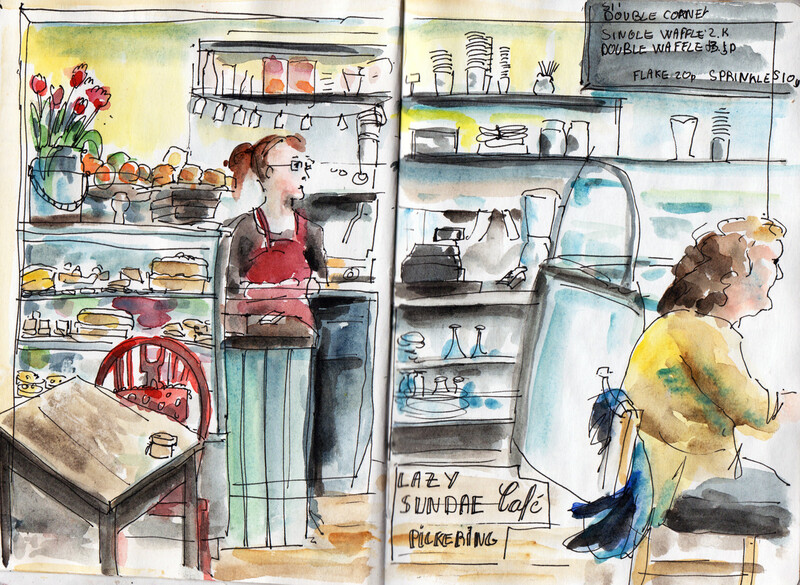 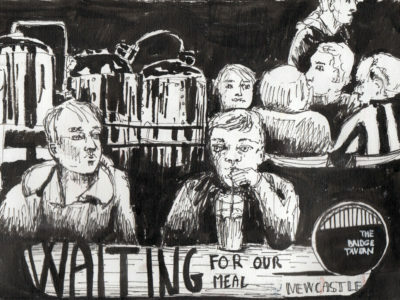 I really enjoyed sketching this cafe counter. 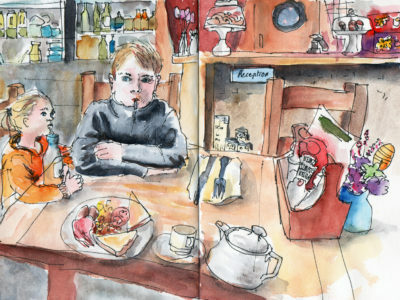 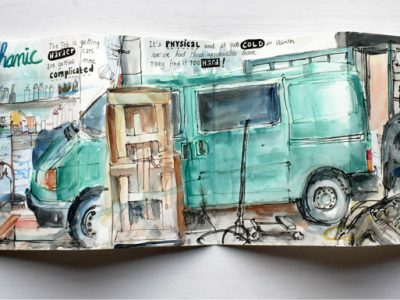 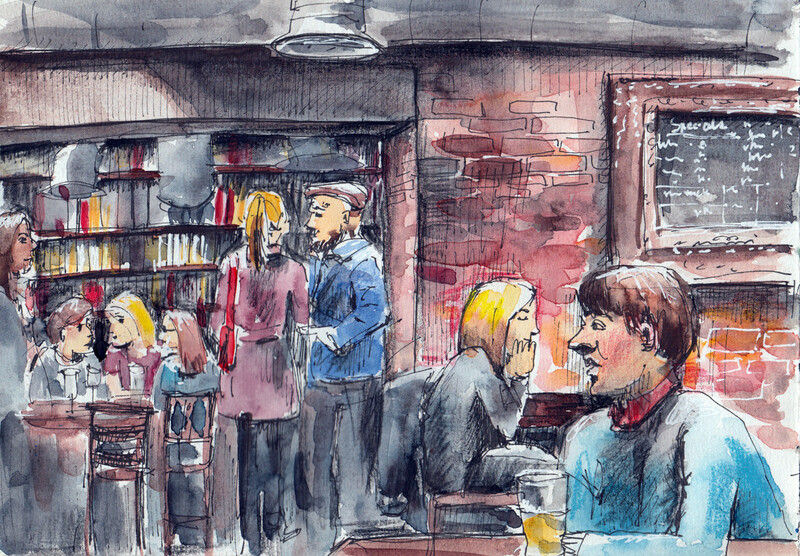 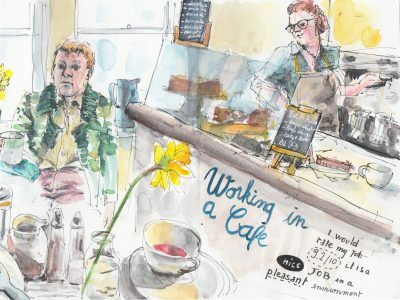 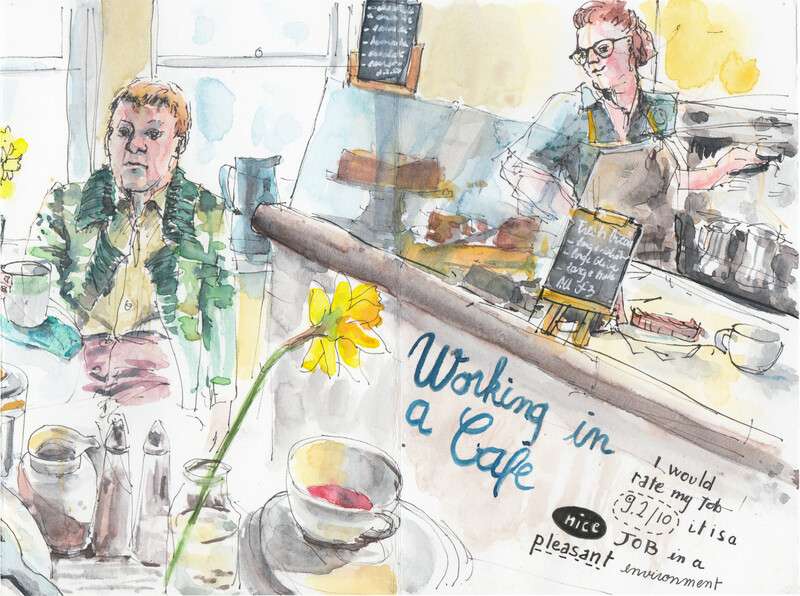 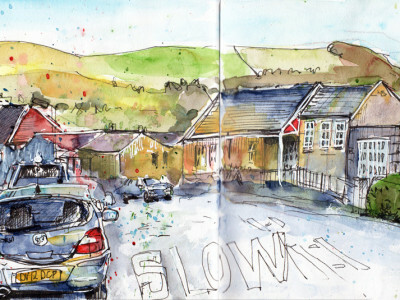 Full sketchbook spread – Sam at work in the garage watercolour and watercolour pencil drawings. 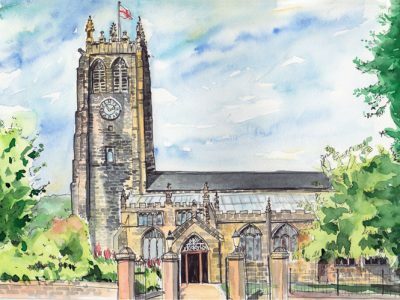 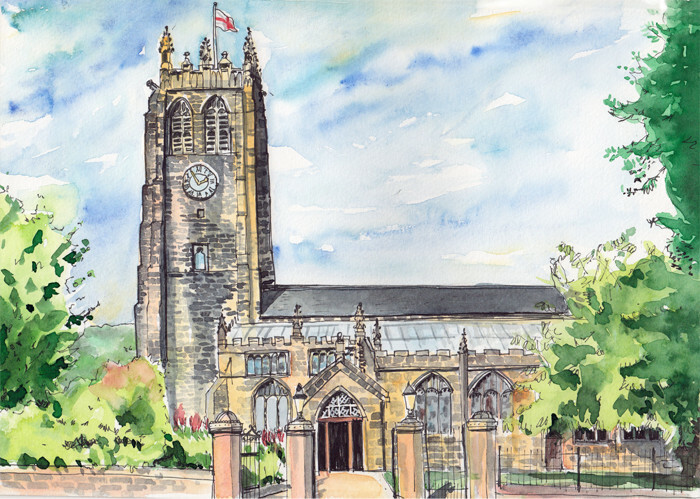 Pen and watercolour painting for the Halifax Minster. 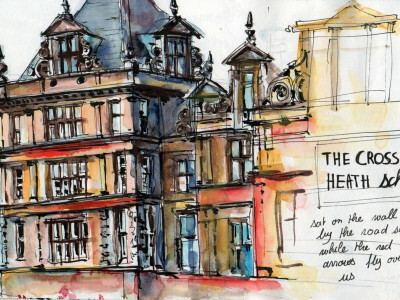 I had fun painting the texture of the stone on the building.